Our whole family has been helping to remodel my grandma and grandpa’s house since November. 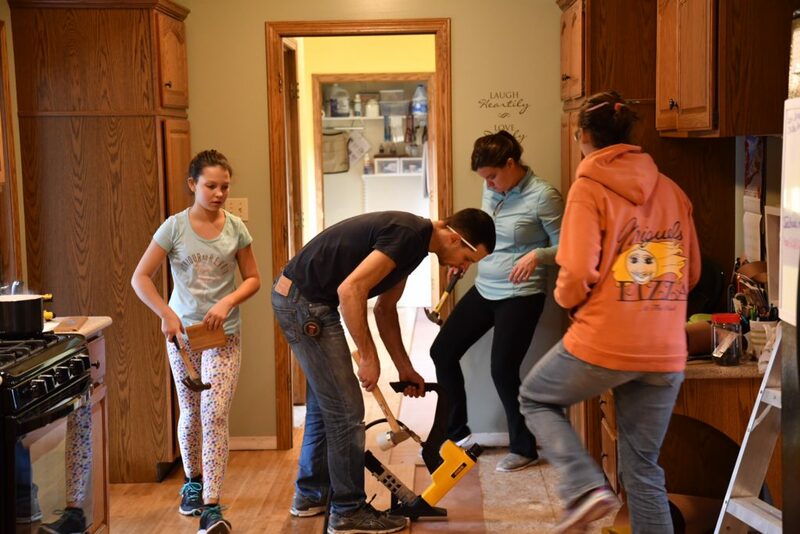 Here we are installing the Bamboo flooring in the kitchen. We also installed it in the laundry room, guest bathroom, dining room, eating area, and foyer. After the Bamboo flooring was done my grandpa went to painting all the rooms in the house with a different shade of tan. When the painting was done, they went straight to looking for a different carpet color for the upstairs and living room. They chose a carpet color that was a dark brown called Mushroom. The new carpet feels so good and soft! The next step was making the kitchen more modern by painting the cupboards. 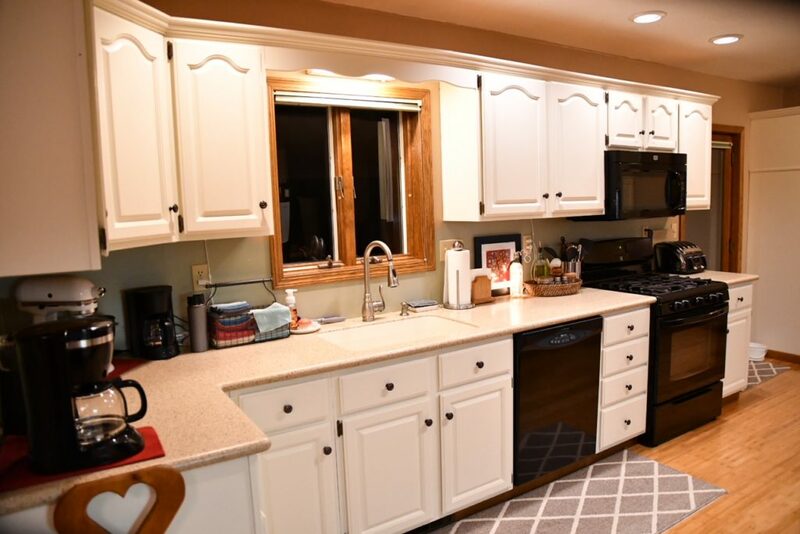 Here are the cupboards painted white which makes the kitchen a whole lot lighter. The off white cupboards look way better than the dark oak. The last step was putting in the back splash. 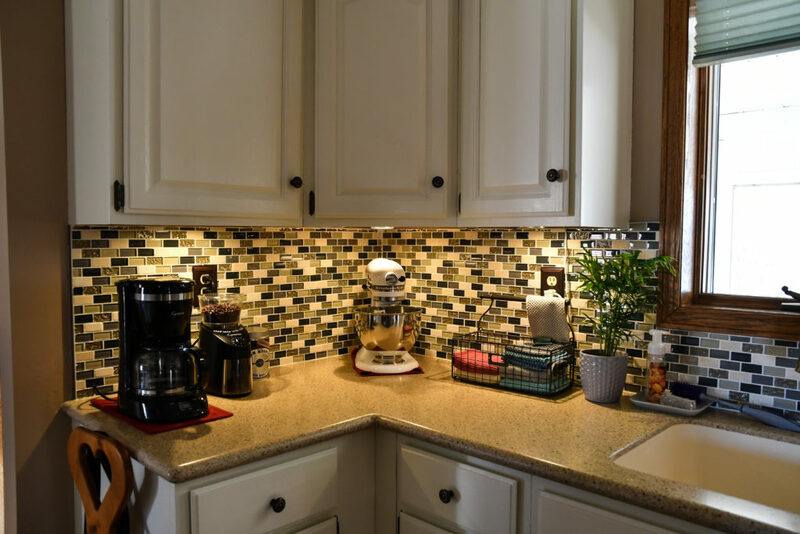 The back splash brings the whole kitchen together. The new back splash looks really good. They were going for a modern day look and totally nailed it if you ask me. Its nice that the project is done and that we can enjoy it!